This year I definitely can't complain about the winter. After beautiful snowy aura in Prague and in Paris, I was once again surprised, for how could anyone expect to be able to admire Rome and Venice covered with fluffy snow. A short stay in the Eternal City started gray and rainy, but the very next day it turned out that very low temperatures resulted in solid snowfall. 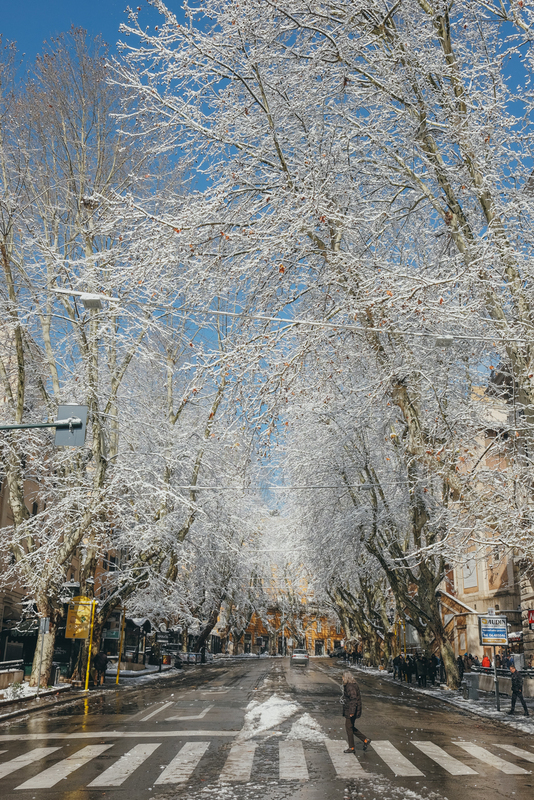 Snow in Rome is a true rarity. The last time it happened was in 2012, so the city's inhabitants were literally rubbing their eyes with amazement. From a photographer's point of view, I could hardly imagine a better opportunity to take photos. At the same time, the snow didn't last too long. 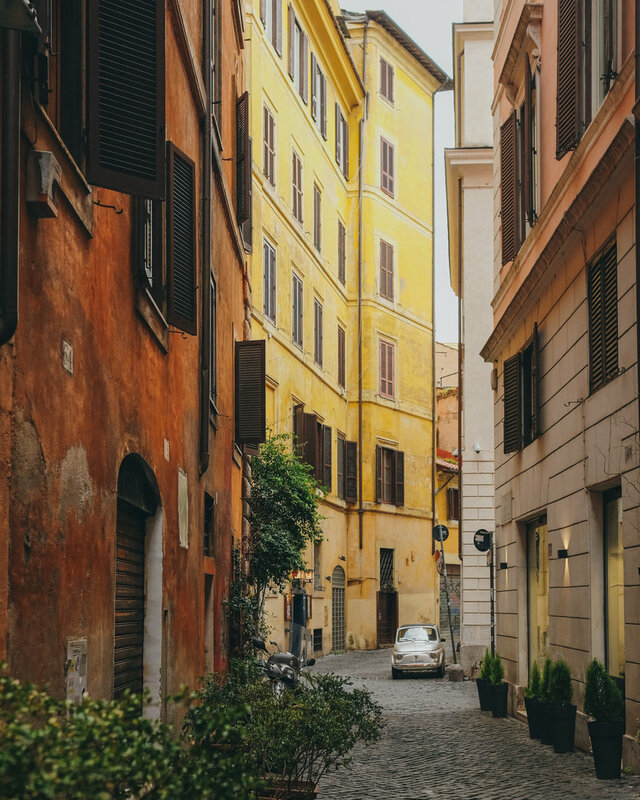 By the noon, thanks to the bright sunlight, it melted away almost completely, giving me the chance to focus on beautiful colors of Trastevere district. After a short stay in Rome, I headed to Venice. The journey turned out to be way more complicated than expected. Due to snowfalls, many trains, including mine, got cancelled and I arrived to my destination with 4h delay. 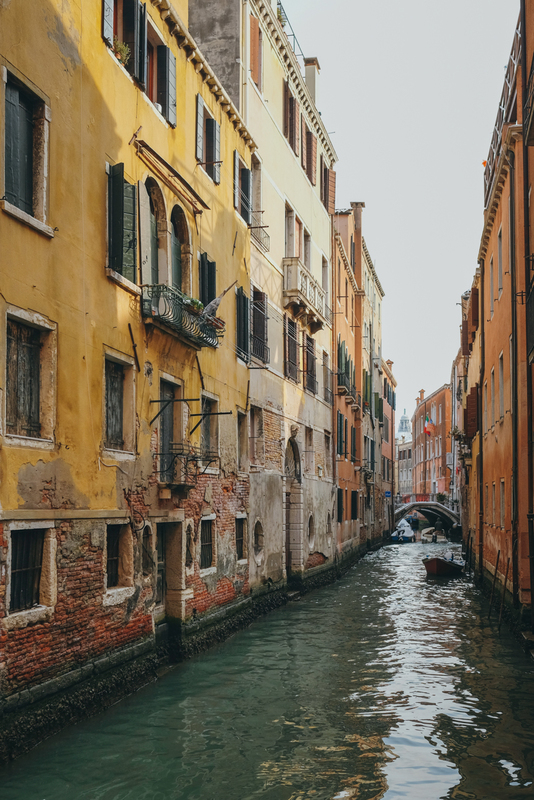 The first day, freezing cold and a bit rainy, resulted in somewhat cliché photos of Venice charming streets, countless bridges and canals. 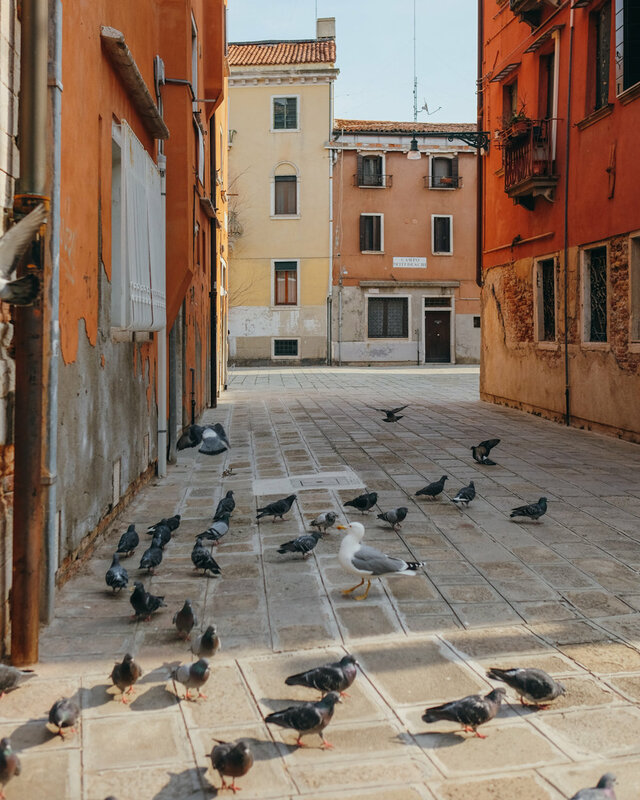 It is always a good idea to visit the Castello district. There are less tourists which makes it possible to enjoy the tranquility and the presence of friendly locals in little trattorias. Very unexpectedly, the next morning in Venice turned out to be almost as snowy as the one in Rome. 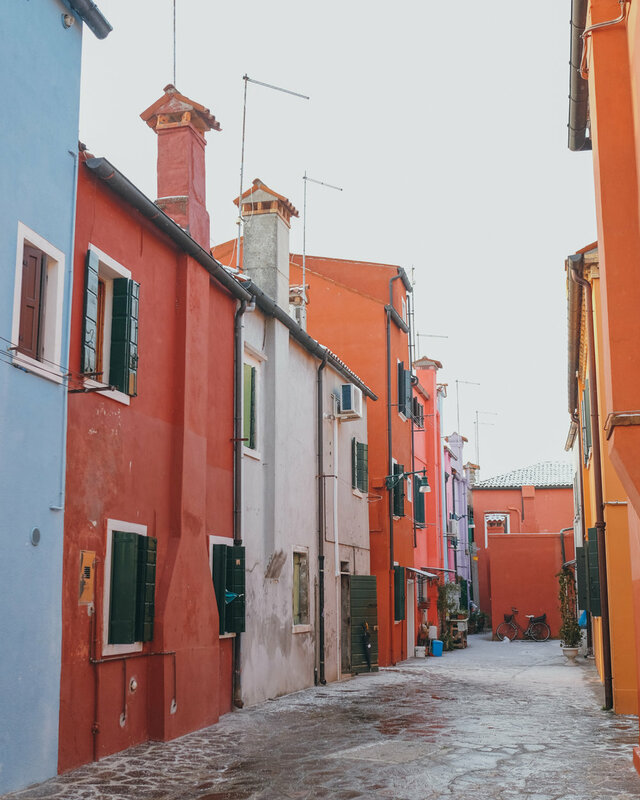 However, this time a thin layer of snow was going to disappear even faster and I had just enough time to shoot a little around Piazza San Marco and then in Burano. 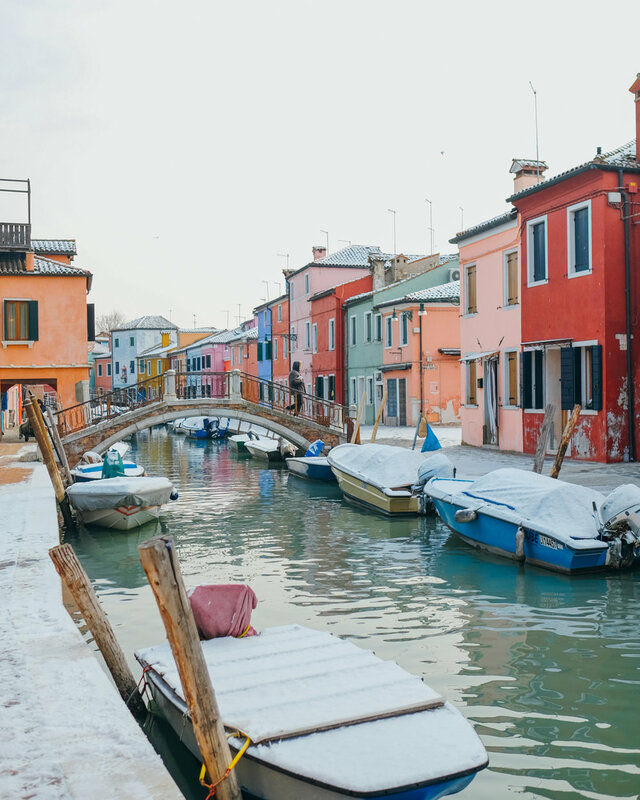 A stay in Venice wouldn't be complete without a visit of this colorful island, especially covered with snow. After less than 40 minutes cruise, I found myself in a much colder place, looking magical in its white attire. That one-of-a-kind, wintery journey to Rome and Venice, only slightly spoilt with my accidental dropping of my smartphone into a canal, ended on a positive note. A spectacular sunset seen from probably one of the best rooftops in Venice, left me speechless.